Tranquility, romance & relaxation. 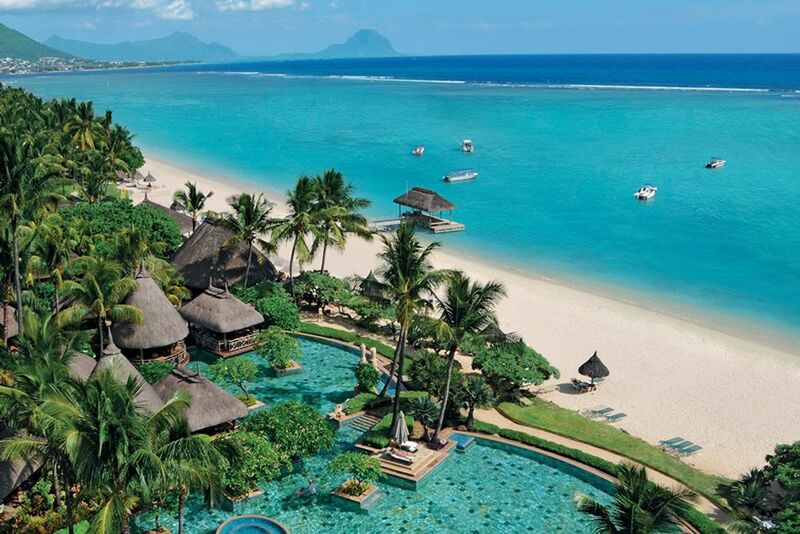 All of this is offered at the luxurious La Pirogue Resort & Spa on one of the best beaches in Flic en Flac. As soon as the brilliant sun rises, enjoy this wonderful view. 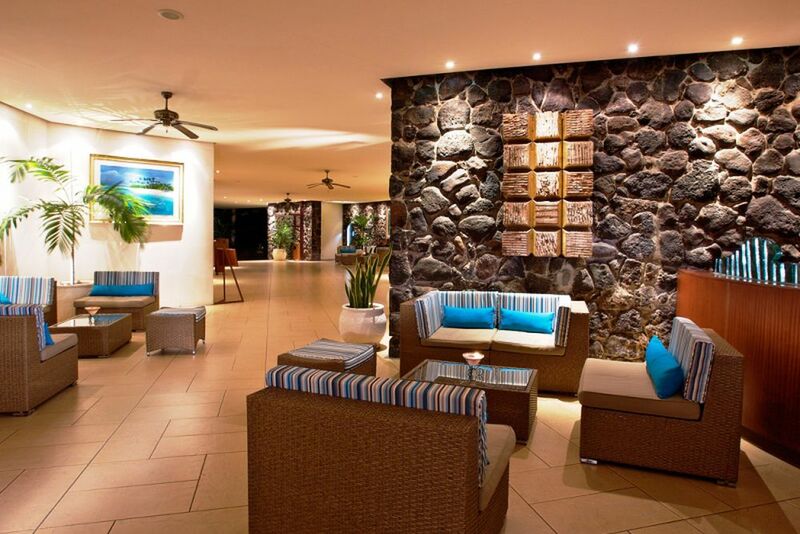 The modern lobby offers a magnificant first impression of the hotel's hidden beauty. 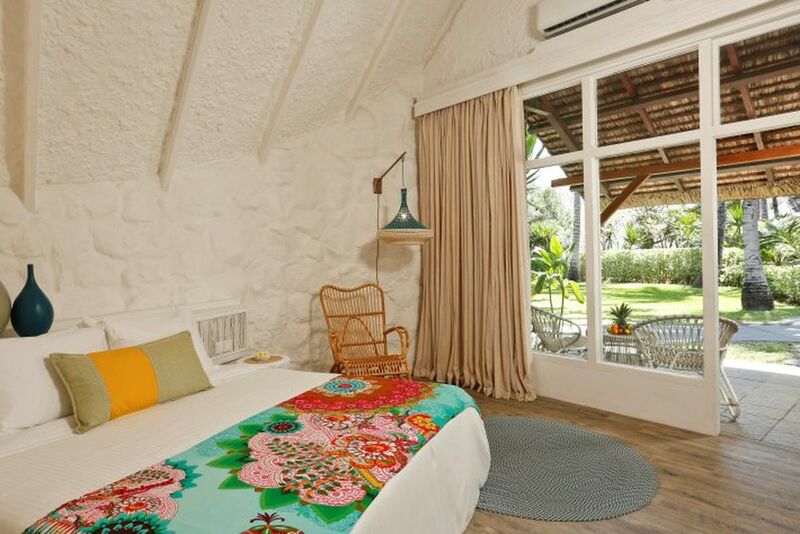 Newly renovated, refurnished and radiating with brilliant colors, the Garden Bunglow Rooms await your arrival. 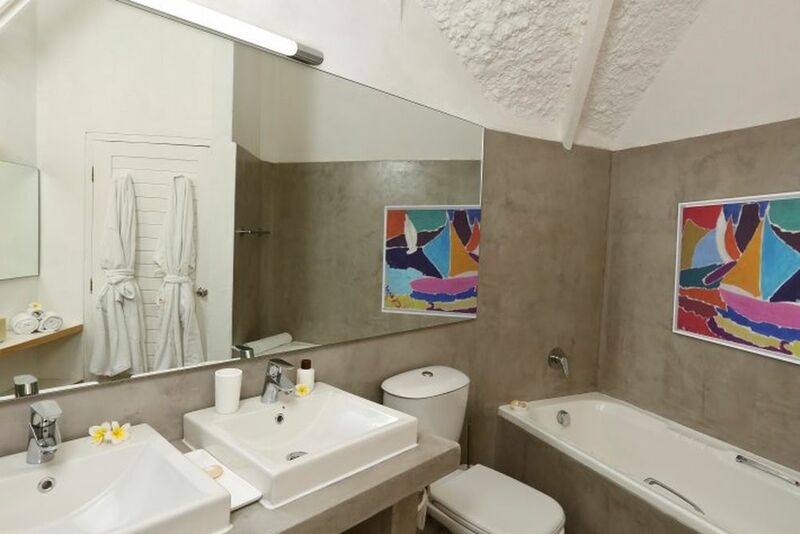 The newly renovated bathrooms are also spacious and brightly furnished. Feel at home! 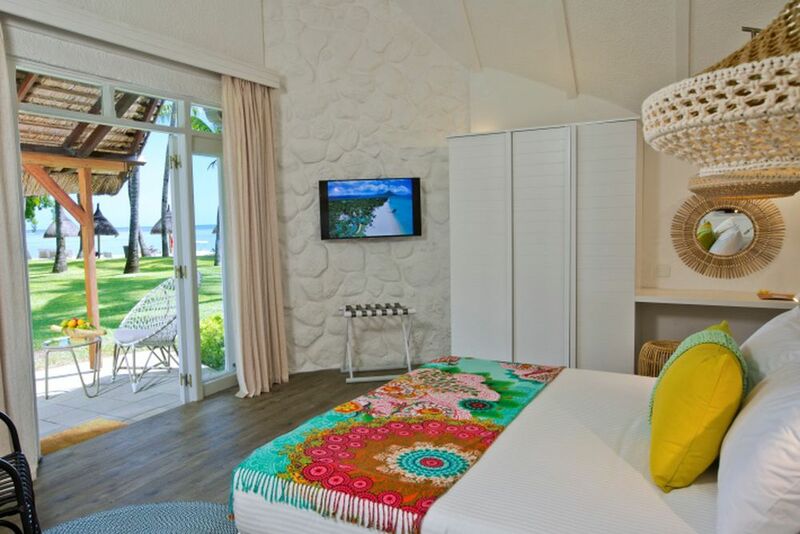 The renovated, comfortably furnished Beach Pavillon Rooms fulfill all of your wishes. The modern design invites you to relax and experience peace and tranquility beyond your wildest dreams. What a breathtaking view! Enjoy the wonderful ocean view from your very own terrace. 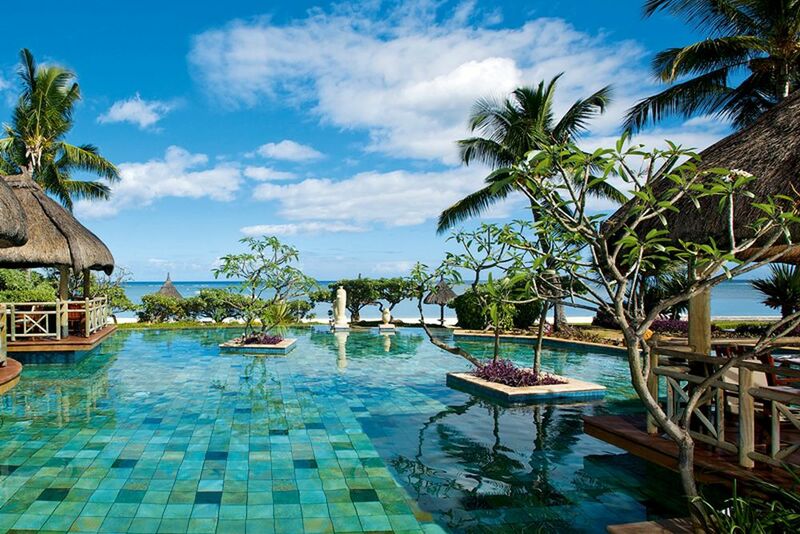 Let your soul drift amongst a paradise of relaxation. 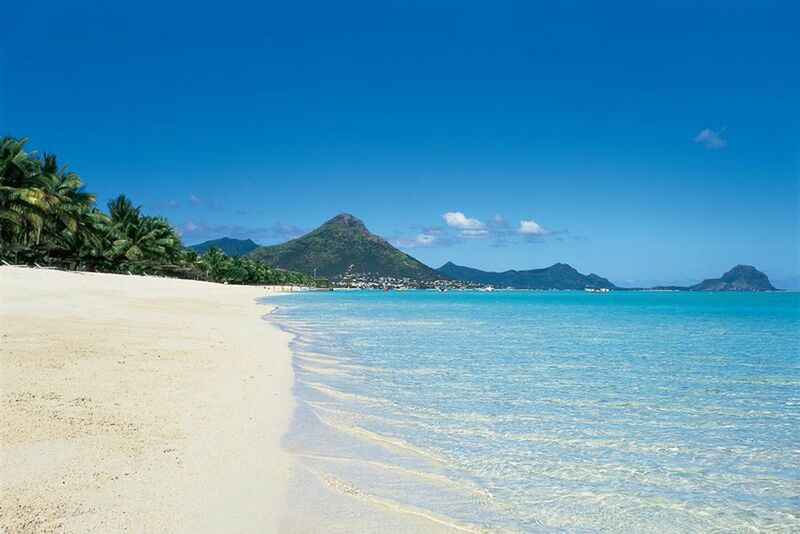 The endless, sandy beach invites you to relax, take refreshing dips and go on an unforgettable walk. Enjoy the wonderful facility from your terrace. In the midst of a lush, green landscape, the terraces offer the perfect opportunity to experience total relaxation. 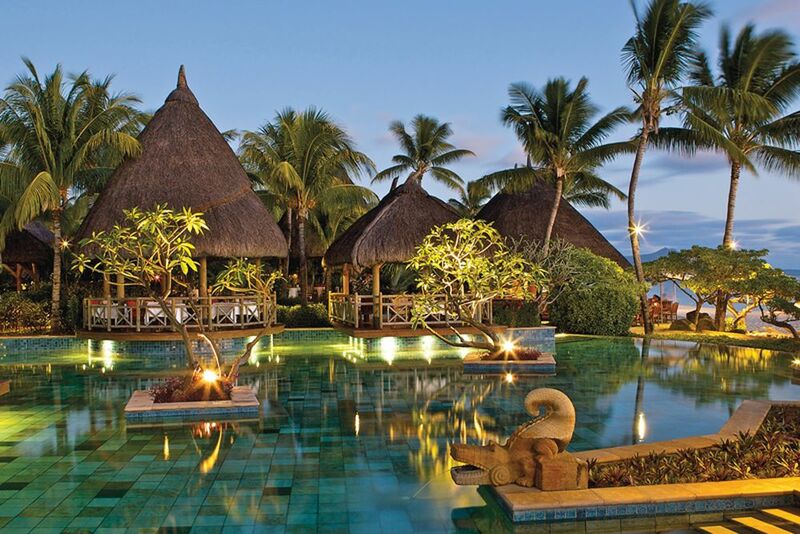 The La Pirogue offers a magnificant pool arrangement as an alternative to the ocean. Desire to cool off and refresh? Forget the flurry and rush of everyday stress. Welcome to paradise! 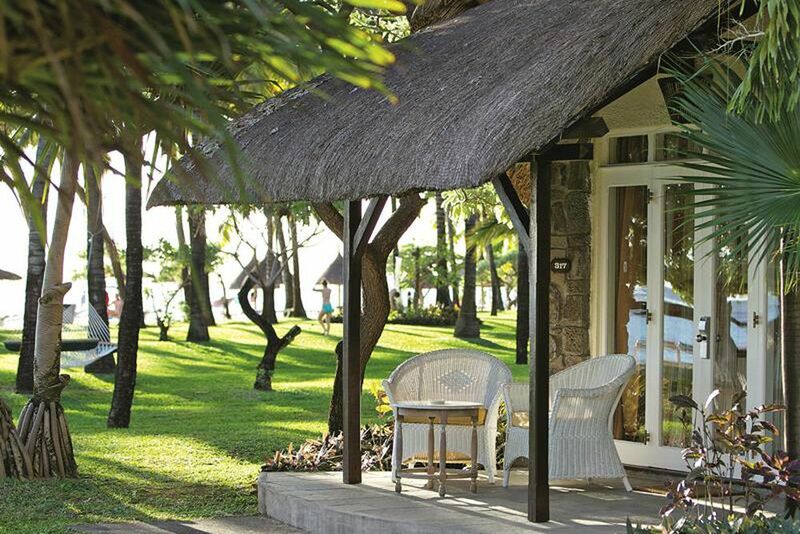 The Jetty brings you to your room over a vast stretch of tropical gardens. 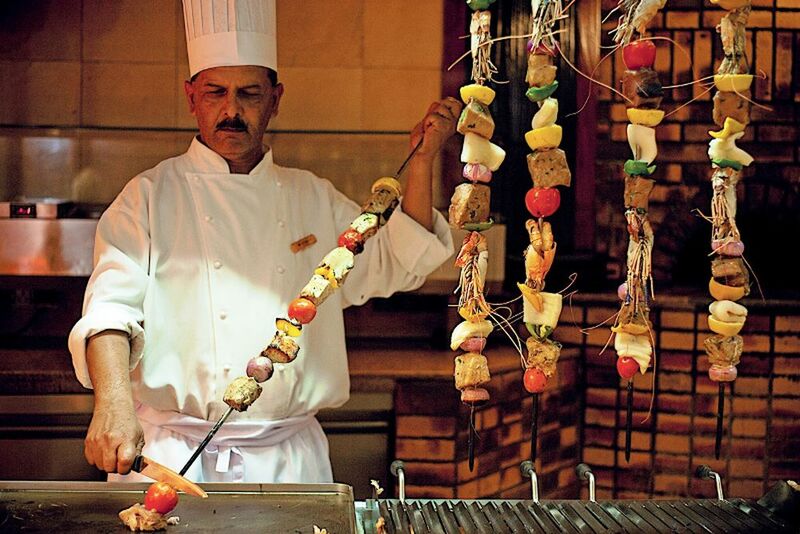 Thanks to the open kitchens, watch how the delicious specialties are prepared. In the Beach Bar, have a relaxing day with a fruity cocktail. At the Coconut Café, enjoy fresh drinks and a light lunch. How about a trip to heart of the Island? A dream come true! 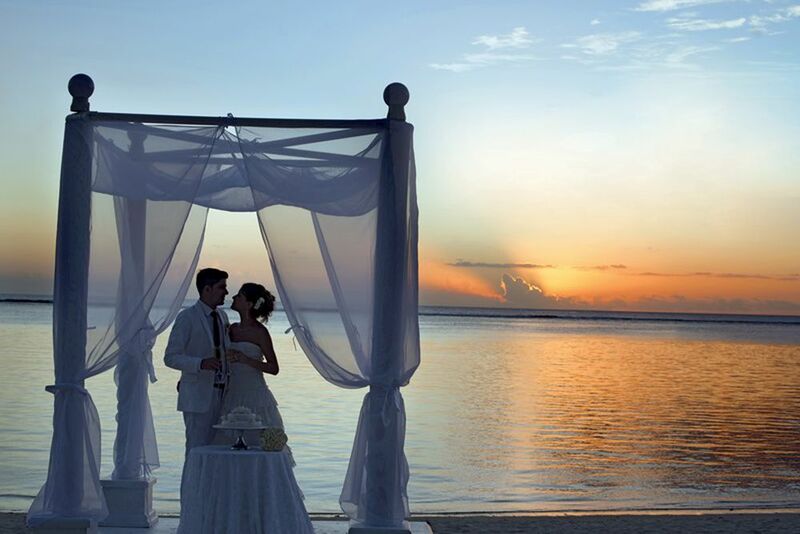 Spend the most fanastic day of your life in the La Pirogue Resort & Spa. 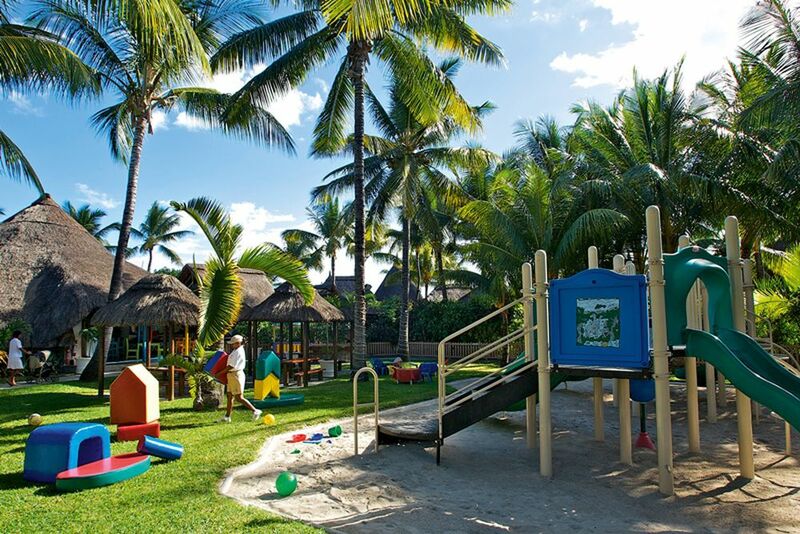 The Kids Club awaits a ton of fun and joy for the younger guests! The kids will have an unforgettable time here! 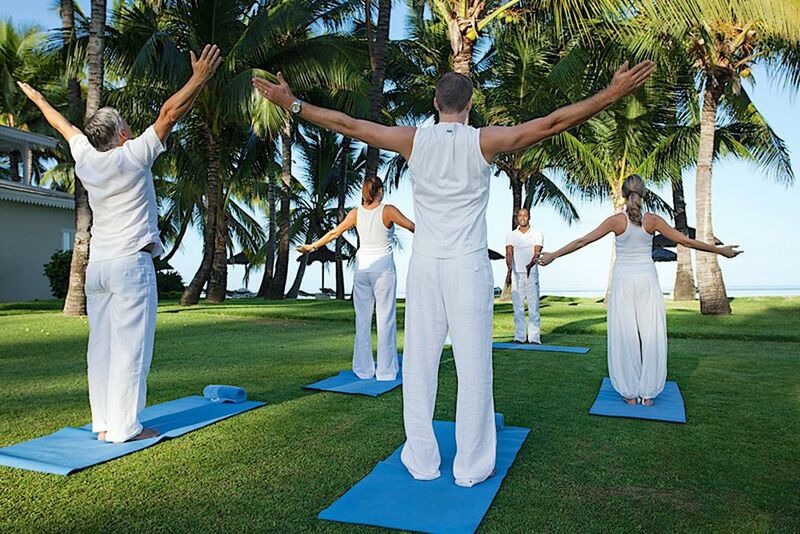 Start your day in peace by joining a unique yoga class. Treat yourself to a soothing massage at the Aura Spa. The choice is yours! 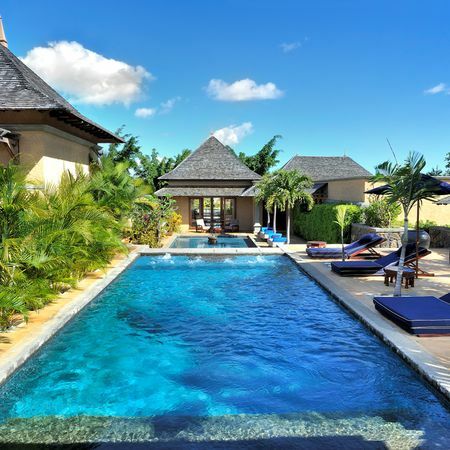 Relax on the sandy beach or by the fantastic pool! Are you a devoted snorkeling fan? 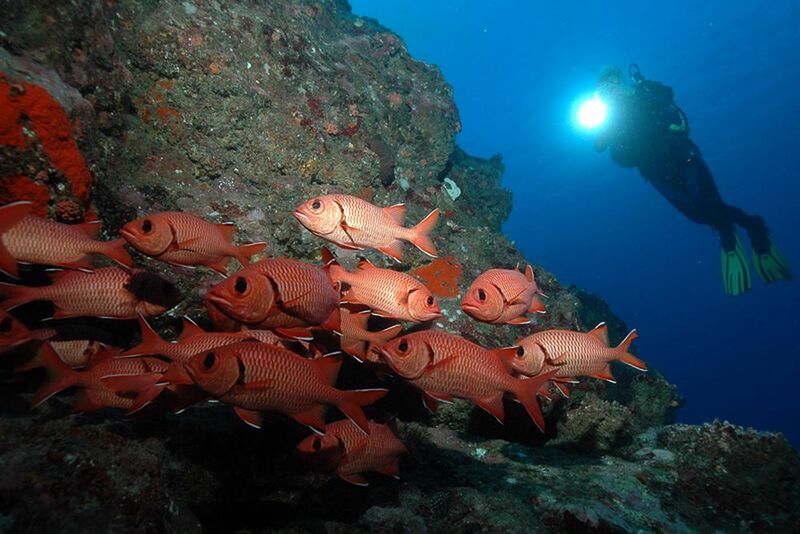 Discover the wonders of the deep blue sea with the hotel's PADI diving school. 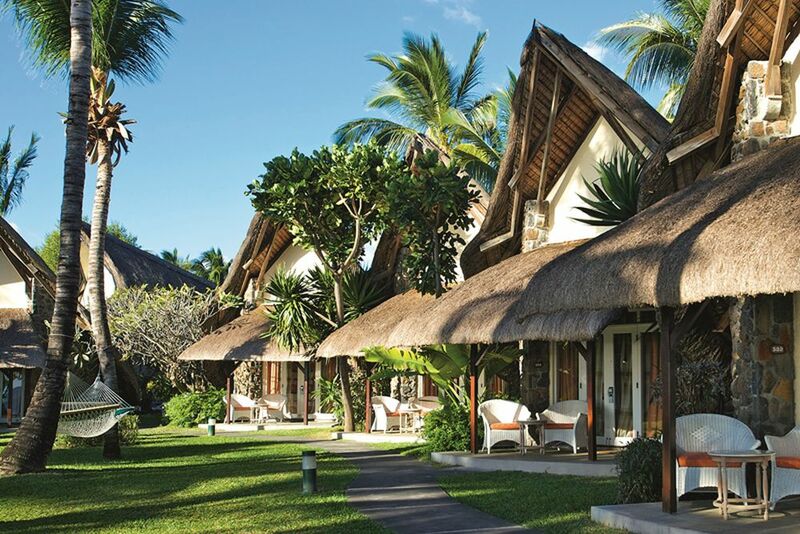 Weaving privacy into an intimate nest, discover the unrivaled charm of La Pirogue’s cozy and unique thatch roof bungalows in a lush coconut grove on the flamboyant sunset coast. 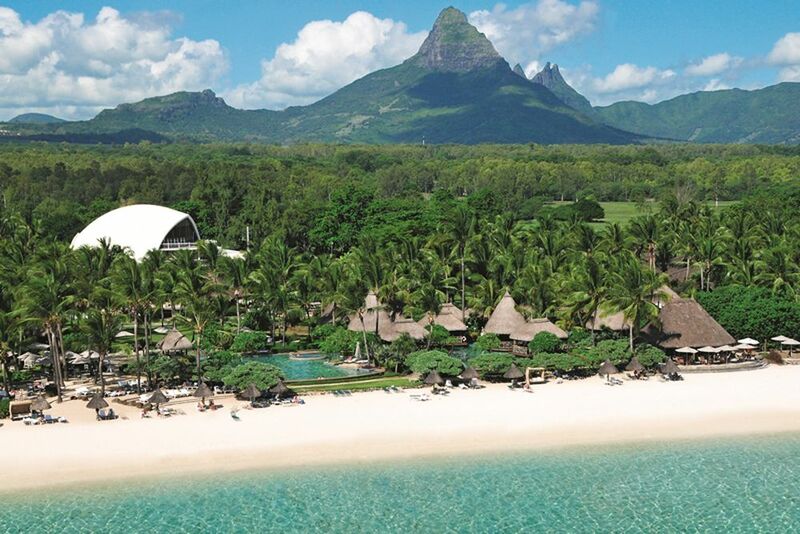 Being one of the first hotels on the west coast of Mauritius, La Piroge was built in 1976 and has an excellent reputation for its romantic atmosphere and splendid service. 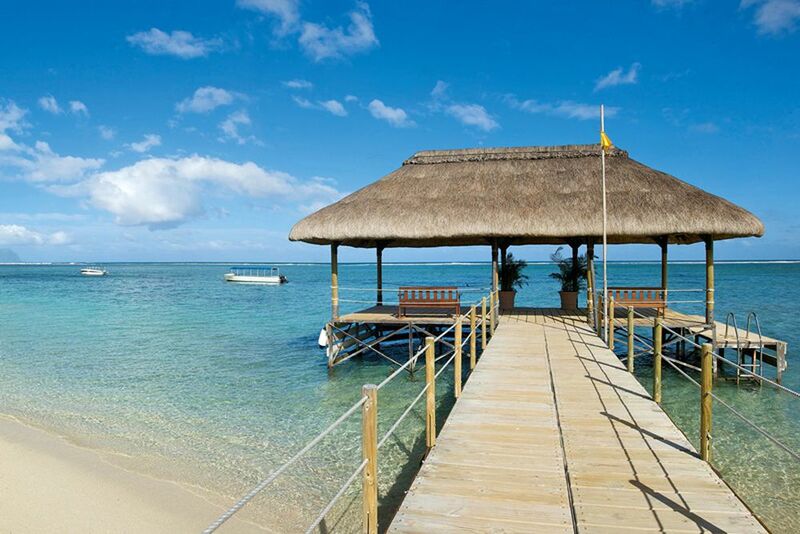 Known for its authenticity, the hotel welcomes you with Mauritian hospitality. 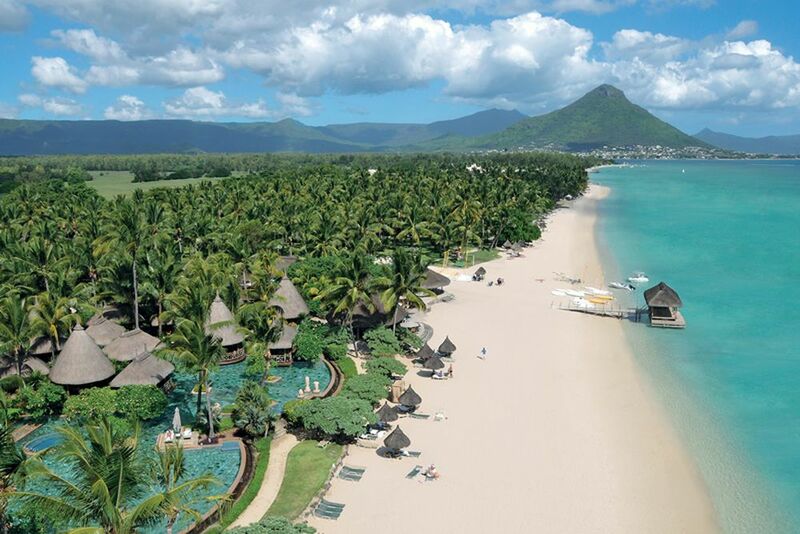 La Pirogue’s location represents the image of the island paradise of Mauritius: turquoise water, a fantastic beach and numerous possibilities to discover the island. 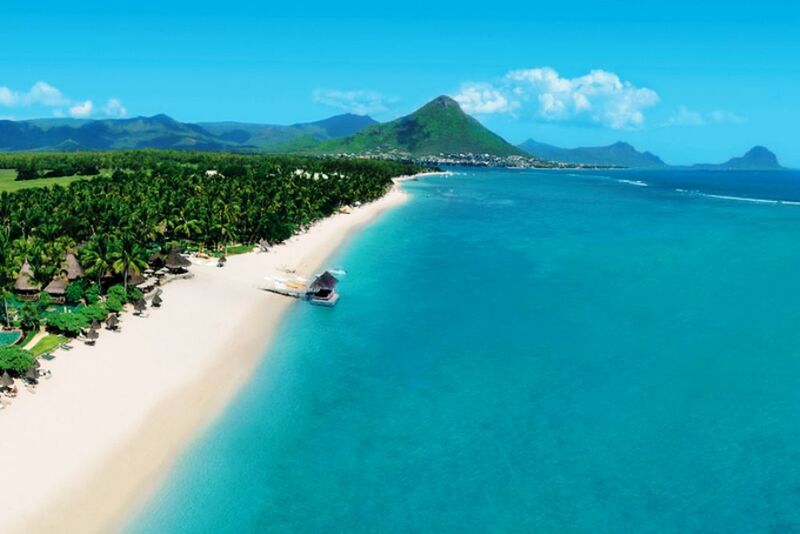 The town of Flic en Flac is famous for its kilometers of beautiful beaches, attracting countless tourists every year to the west coast of Mauritius. Mauritius Airport is about 50 km away. With a warm atmosphere, a fantastic beach, exquisite restaurants, lively bars and the high-end Aura Spa, nothing stands in the way of an unforgettable holiday! 14 hectares of beautifully landscaped gardens with hibiscus flowers and coconut trees invite you to stroll around the premise. Don't forget to take a dip in the hotel’s large swimming pool on a hot day! The younger guests are of course not forgotten! The Sun Kids Club, for children 2-11 years old, are welcome to participate in numerous activities, culinary journeys, or a discovery trip. 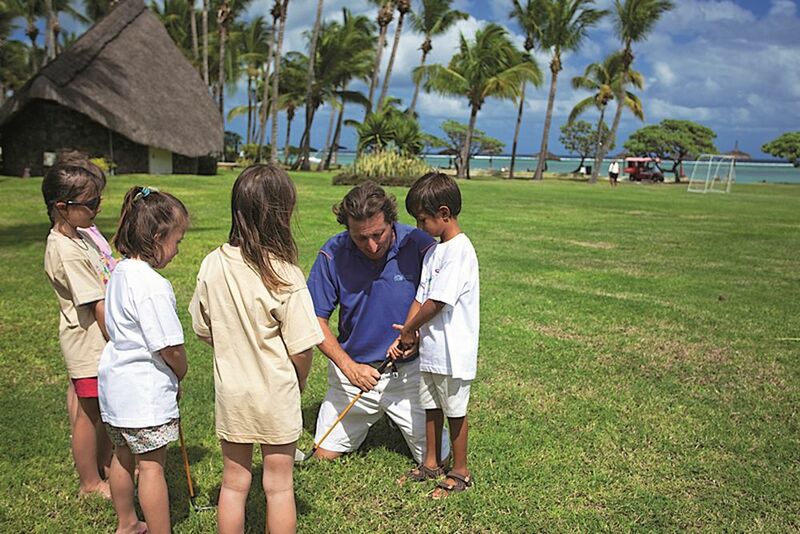 For teens aged 12-17 years old, the Teens Club is the ideal meeting place for activities and excursions. For a fee, children 2-3 years old are cared for by nannies. 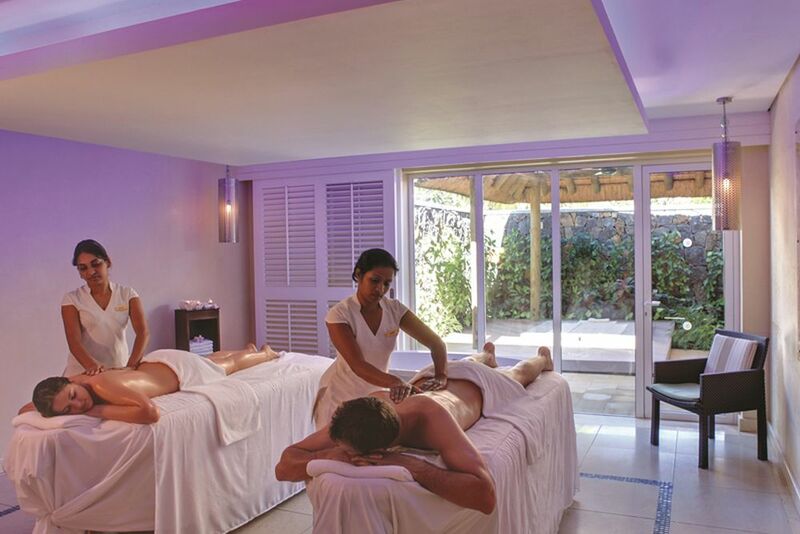 La Pirogue Resorts & Spa offers an exciting voyage through the flavors of the world, with a unique emphasis on demonstration, generosity and variety. Thatches,the main restaurant, is open for breakfast and dinner and features a variety of sumptuous themed buffets. 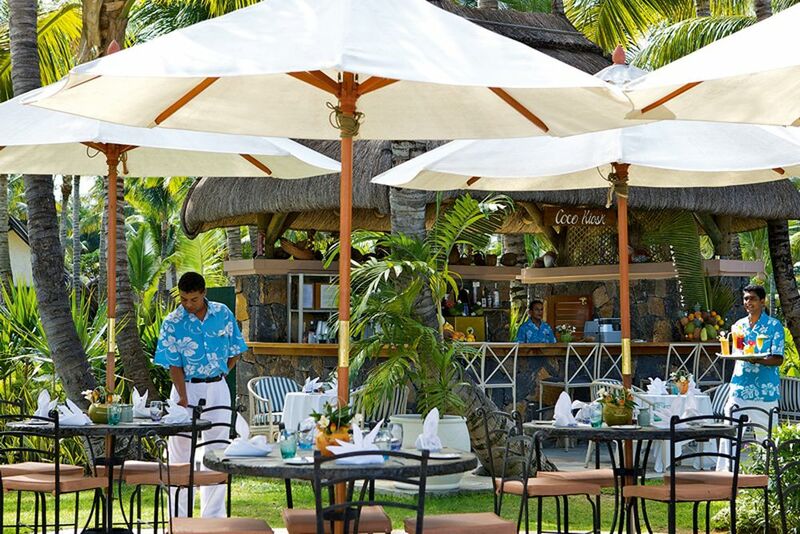 Paul & Virginie is beachside under thatched pavilions featuring an à la carte menu with an emphasis on inventive seafood and grilled dishes. Citronella’s Café faces the sea, between La Pirogue and Sugar Beach, offering delights of the Mediterranean’s sunny cuisines and traditional Italian dishes. Tides is also located right on the beach, and its dinner menu is deliciously innovative, sophisticated and surprising. 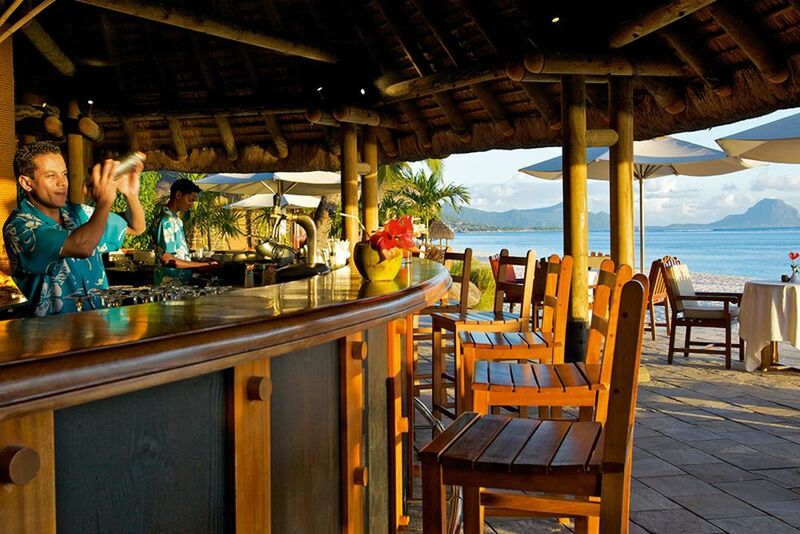 The three bars, the Blue Bar, the Coconut Cafe and the Beach Bar offer a colorful variety of tropical cocktails, rum and numerous beverages, such as beer, liqueurs and juices. Guests of La Pirogue have access to the Mon Plaisir buffet at the sister hotel, Sugar Beach. 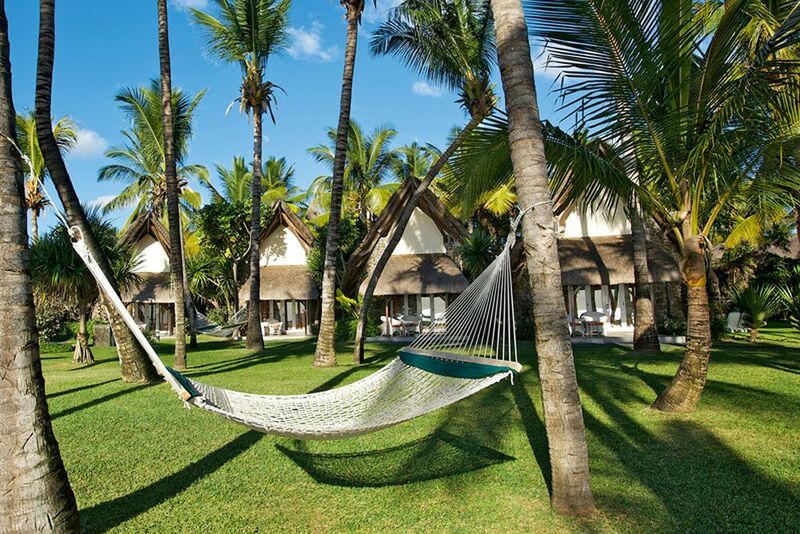 The 248 lovely rooms at La Pirogue are tucked away in individual grounded thatched bungalows that open privately onto the palm grove and the turquoise lagoon. 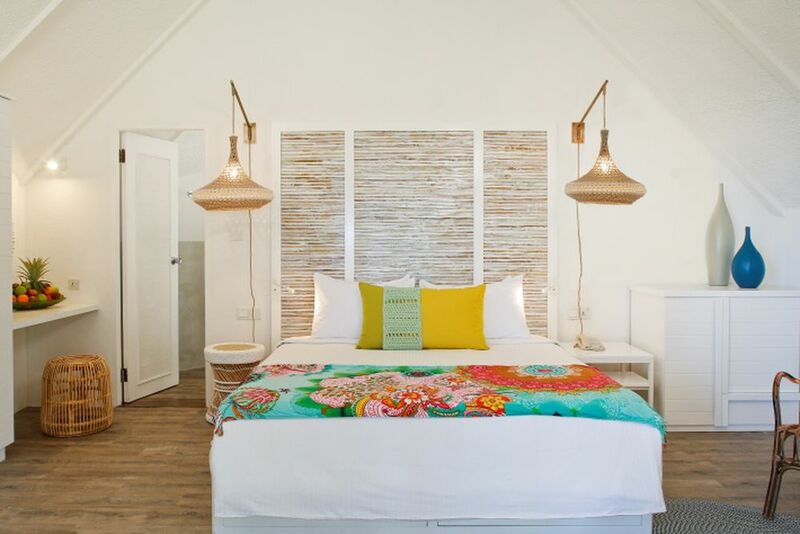 These rooms offer a convivial, cozy and authentically Mauritian atmosphere. Enjoy wonderful walks through beautiful gardens and along endless, sandy beaches with direct access from your bungalow. Amenities include an LCD flat screen TV with satellite channels, a bathroom with separate shower and bath, controlled air conditioning, safe, Wi-Fi, tea/coffee making facilities, and a furnished terrace. Garden Bungalow (25 m²) - Each room has its own furnished terrace occupying a place of privacy in an extensive tropical garden. These bungalows are connected to each other and offer enough space for the whole family. Maximum of 2 adults + 1 child or 3 adults. Beach Pavilion (35 m²) - The individual pavilions each have their own private terrace located only meters away from the beach, offering uninterrupted views of the lagoon and sea. The pavilions can be connected to each other, offering space for the whole family. Maximum 2 adults + 2 children or 3 adults. 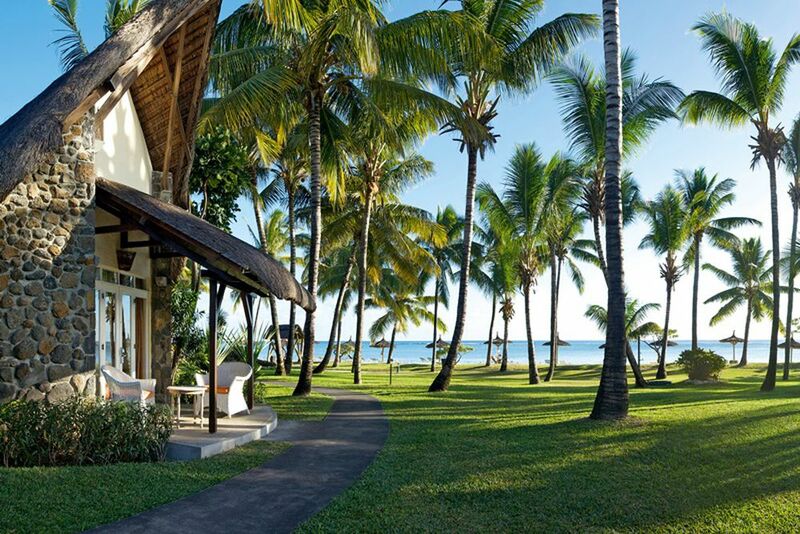 Senior Suite Pavilion (78 m²) - Personalized service in the elegant ground floor suite is located in a unique individual thatched roof pavilion that looks out over the tranquil beach. 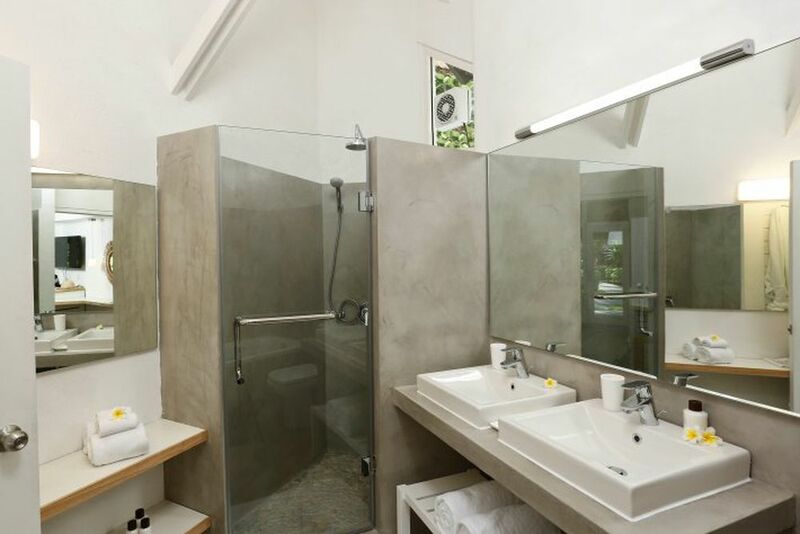 These pavilions also have a rain shower and walk-in wardrobe. Maximum of 2 adults. More room types are available upon request. The Aura Spa is an oasis of tranquility, far from the stress of your daily routine. Mind and body sink into the tranquil surroundings whilst the senses benefit from the peace and quiet. In this blissful state, take time to meditate to the sound of the fountains and cascades, or make the most of the benefits of an invigorating massage in the expert hands of a therapist. Here you will find an Aura Hammam and a heated pool! For sport enthusiasts, train in the 300 sqm air-conditioned gym! The Martial Arts Area offers classes like Taebo, kickboxing, Judo or Karate. There are also six floodlit tennis courts available to all guests. For your leisure time, enjoy free activities such as glass bottom boat trips, snorkeling tours or windsurfing! Other water sports that can be organized through the hotel include PADI diving courses, sport fishing, water skiing, parasailing, catamaran tours or dolphin watching tours.